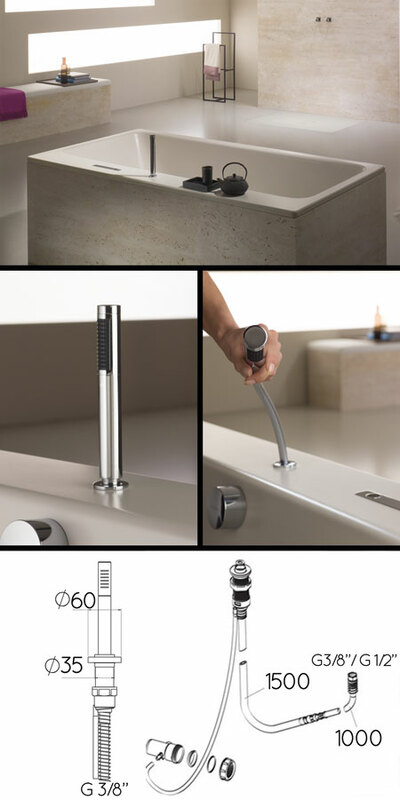 A luxury bath rim shower head with a self draining system. With its unique waste sleeve, any excess water running down the hose is automatically drained into the bath waste eleviating any spillage and possible. This handy pull out handheld shower is ideal for comfortable hair washing as well as easy bath cleaning and maintenance. * Luxury bath rim shower head. * Unique self draining system. * Pull out shower head. * For easy hair washing. * For easy bath cleaning.